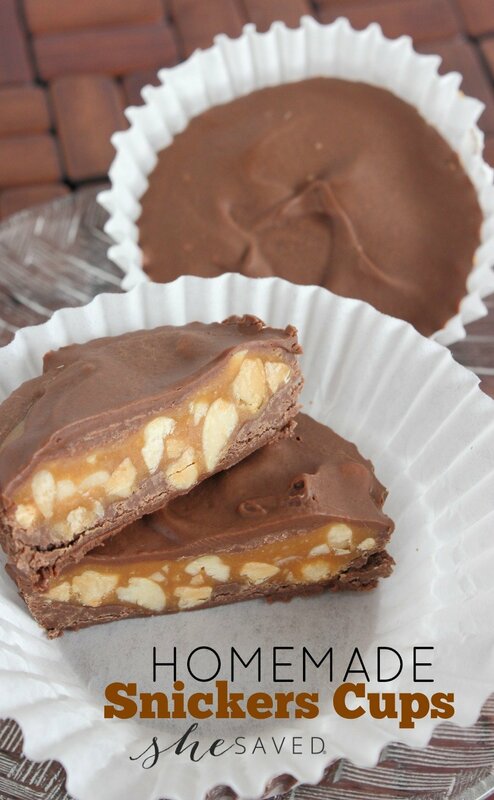 Who needs store bought Snickers when you can make your own!? 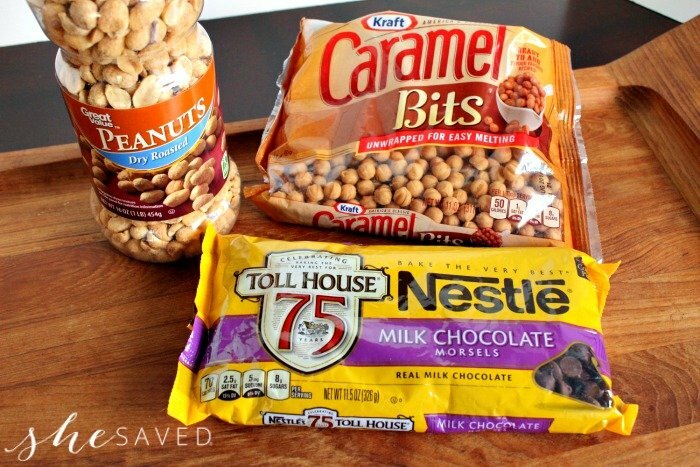 This homemade Snickers Snack Cup recipe is so easy (just a few ingredients) and a great way to make a sweet treat at home. It’s so easy that my kids make this one on their own and because all of the heating is done with the microwave, it’s the perfect recipe for your bakers to learn with. after each increment, until smooth. Stir in the chopped peanuts. In a microwave safe bowl melt the chocolate chips on high in 30 second increments stirring after each increment, until smooth. 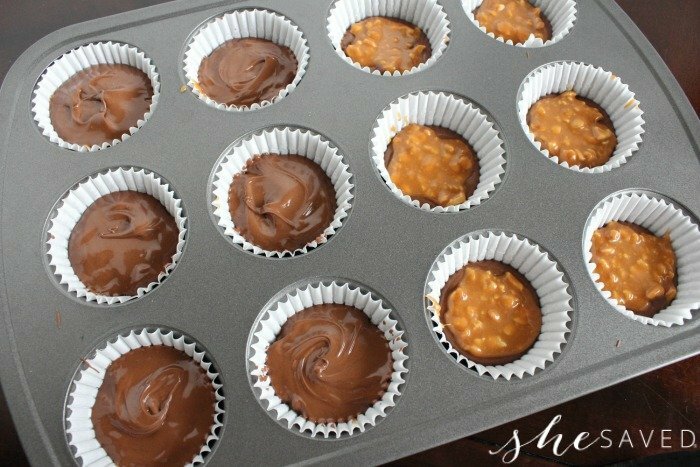 This recipe looks so yummy and easy to make! Thanks for sharing. Visting from Think Tank Thursday. Where is the nougat ?? Do you use mini cup cake holders or regular sized? I would think adding a tiny bit of evaporated milk to the caramel bits would make it taste creamer and fresher.Not too much though.You don't want it runny! Visiting from Merry Monday! Pinned and followed you on FB and Pinterest! This recipe looks delicious yet simple. 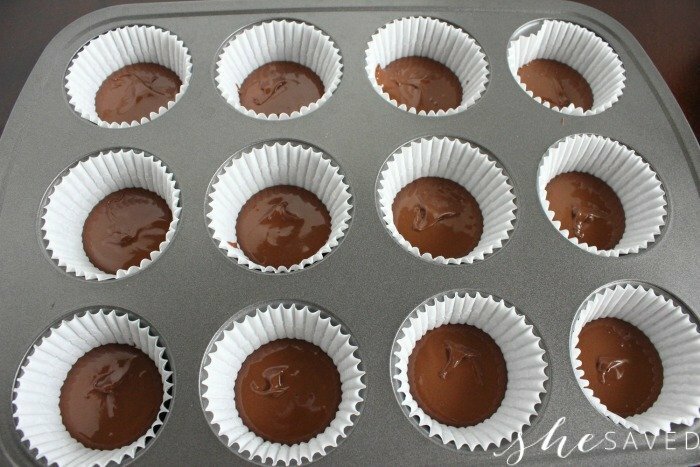 I make homemade peanut butter cups and I'll need to try adding some caramel to them for a tasty treat. Thanks for sharing on MM. My mouth is watering thinking how good these look and must taste. You had me at Snickers. These look amazingly delicious. I add a small pinch of coconut to each one I make for a slightly different taste. You can use crushed walnuts like I do. Just use our own taste buds an create for you. What size are the muffin tins, regular or mini?